As members of the CHSA Accreditation Scheme for Cotton Mops we can guarantee the weight, absorbency and cotton content of each of our cotton mops. This guarantee provides assurance to the customer of a consistent and quality product so they can be certain of receiving exactly what they are paying for. The CHSA has driven up standards, making it possible for buyers of cleaning products to be sure when they buy accredited products that what’s on the box is what’s in the box. All members adhere to the code of practice and the Manufacturing Standards Accreditation Schemes to make sure customers get what they pay for. 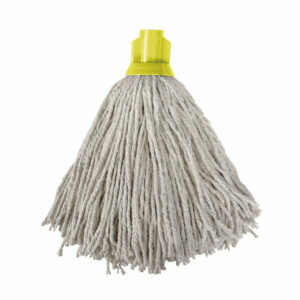 This PY Kentucky mop is very absorbent and is best for laying down and picking up liquid. 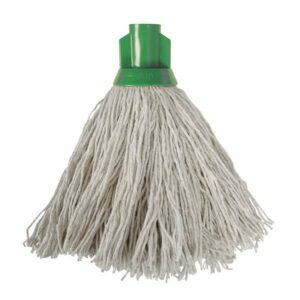 Kentucky mops are designed for cleaning large areas and are also available in a wide range of sizes to suit the area to be cleaned. 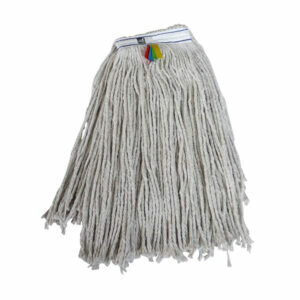 Each mop is individually bagged and additionally has colour coded tags to facilitate colour coding.